Chips and salsa, real restaurant chips and salsa, is a comfort food for me. Some people love to indulge in mash potatoes, mac and cheese, french fries, and biscuits and gravy, but for me it's a big salty bowl of tortilla chips with a nice spicy salsa. I've been feeling a bit homesick this week, working hard seems to do that, I just want to go home and act like a baby after a long week. Plus, my Instagram feed is filled with everyone having a great time at Fiesta which doesn't help, and Food Republic was in Austin this week, taking picture of everything delicious about Texas, it was just a Texas filled week and I was missing it all. Luckily, I got a taste of home right in the nick of time when some special people stopped into D.C. and gave me a call. It was so nice to see some friendly faces and spend some quality time, skipping the small talk and going straight to some great conversation. While it helped a little, it definitely made me think... man I really need to go home for a bit! It's about that time again for me to book my flight and head home for a week or so, but I just haven't gotten the chance. All this to say, I was really ready for something that felt like home this weekend. Tyler and I love going out and exploring Virginia, normally we're camping, but sometime we just head out for the day and see where it takes us. Virginia really is a beautiful place, the mountains, the green, green, green grass, beautiful spring weather, it's pretty great. I'm so glad he loves to drive because I love to sit back, relax, and take it all in, music on, singing at the top of my lungs, or chatting with him about random nonsense. 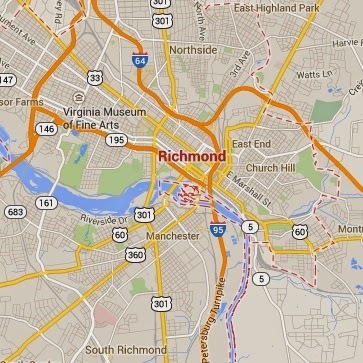 We have spent some time in Richmond, it's not home, but it's got some perks, and it's just nice to get away from the spring tourists that flock to DC every year around this time. Every time we go down there I start to like it a little bit more. Everyone's pretty nice, they have a decent outdoor mall (it doesn't hold a candle to La Cantera), Sonic (score. ), some local coffee shops, a record store, they're restoring old buildings instead of tearing them down, the traffic is mild, and so finding out there was a Chuy's just on the outskirts of town was the cherry on top. WHOOO HOOOO!!! FINALLY SOME CHIPS, SALSA, and CREAMY JALEPENO to boot?? Now being from San Antonio, I can't sit here and say, "Dang I LOOOVE Chuy's!" Let's be real...Chuy's is great... but would I normally take a road trip to get it, no. But...when you're desperate, let me tell you... Chuy's get's 5 stars. It was so nice to sit there, munch on my chips, salsa, and creamy jalepeno, and visit with Tyler. It was just what I needed, sort of a reset, forget last week, and get ready for the hectic upcoming week. Yesterday was just what I needed, I woke up this morning refreshed and ready to go. I make breakfast, okay let's be honest...it's more like lunch, (I'm not even sure it falls into the brunch-time category) at least once during the weekend. I love waking up, making a latte, and making something yummy and breakfast-y. 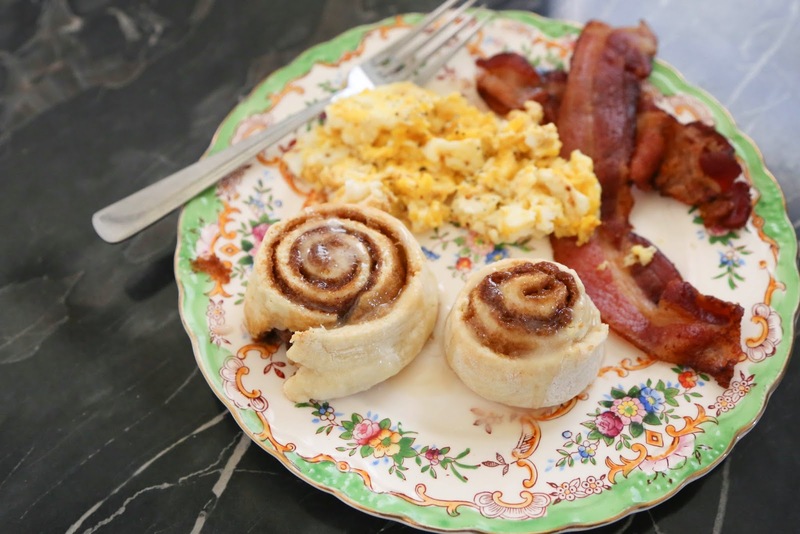 I've been wanting some cinnamon rolls, but since we got back late last night from our road trip, I didn't have time to proof the yeast, wait for it to rise, etc. (they really do take FOR-EV-ER) so I had to improvise. 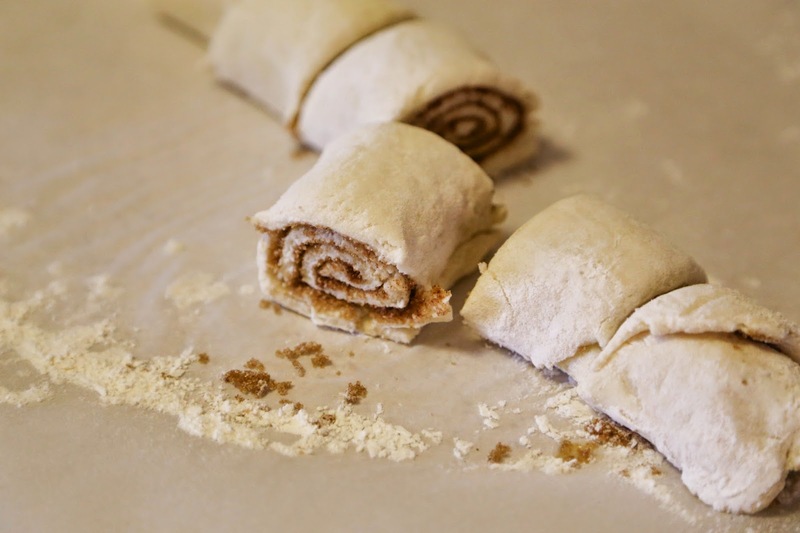 I have this go-to biscuit recipe, I literally use it for everything, so I thought hmm... if I roll these out, spread some butter, sugar, and cinnamon on it, and roll them up, what's the worst that could happen? Umm DELICIOUSNESS, that's what happened. These are so easy, try them, and let me know what you think! 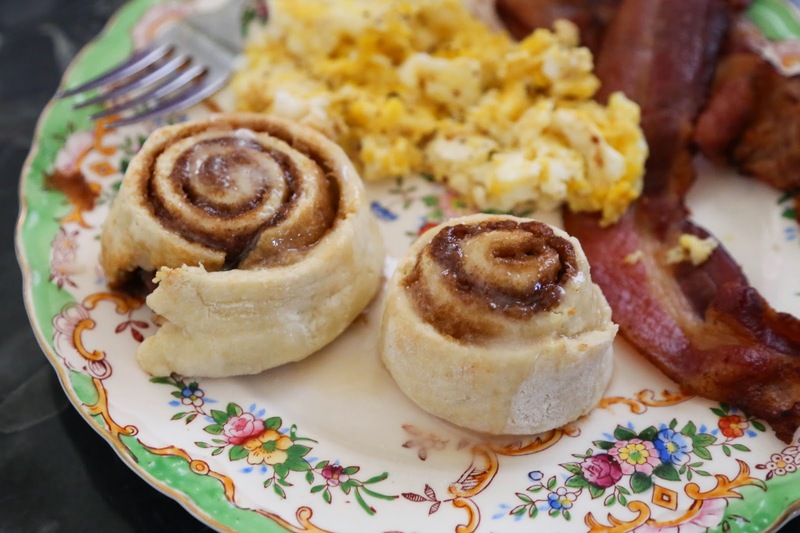 Seriously, there's no excuse to not try them, they're that easy, just roll with it... plus, it's a small batch recipe so it's perfect for two people! Side-note: So I found this little pastry cutter on one of our southern adventures, I highly recommend getting one if you see one while you're out and about... I love mine, plus while I'm cooking I think of all the things the person before me made for their friends and family, it's kind of fun. I use it ALL THE TIME. I'm sure you can also pick one up at bed, bath, and beyond or someplace like that... get one. If you refuse to make your life easier... you can use a fork. If you're in a rush you can skip the next step, but it does make it a little easier, wrap it in some cling wrap and refrigerate for 15 minutes or so... I chose to do the dishes and start the bacon, it's the perfect amount of time. 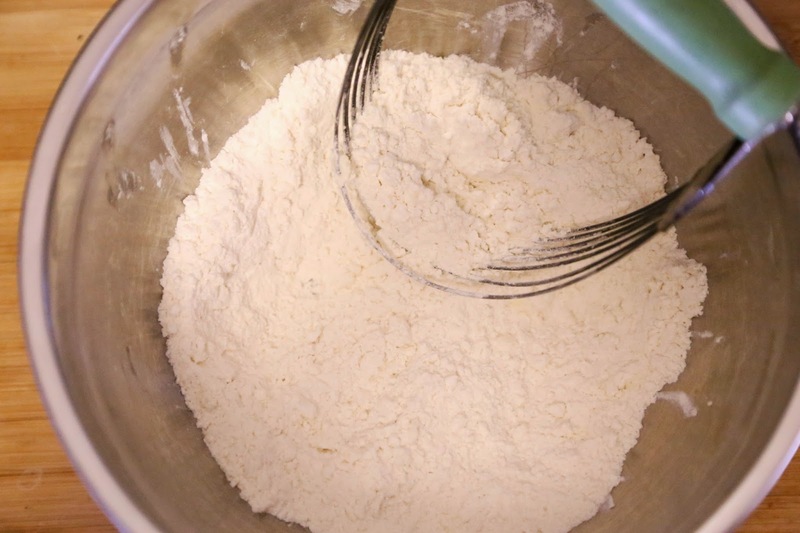 Instructions: Whisk together flour, baking soda and salt. 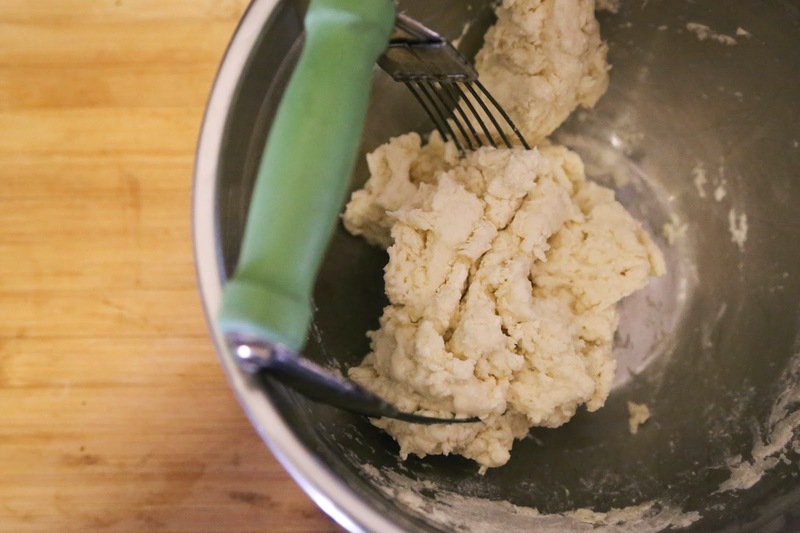 Cut butter into small cubes then cut it into the flour mixture until it has a course texture. Add milk and stir until combined. 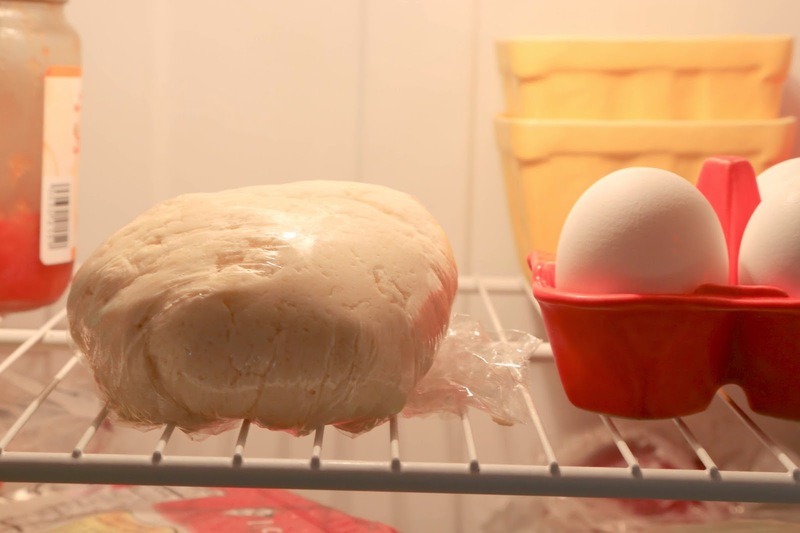 Refrigerate the dough for about 15 minutes. 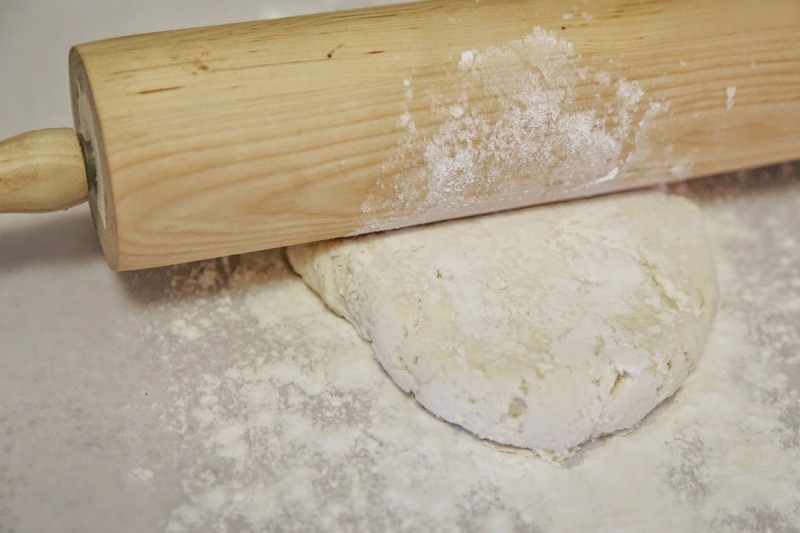 On a lightly floured surface, roll out your dough into a rectangle about 9x11 inches and about 1/4-1/2 inch thick. 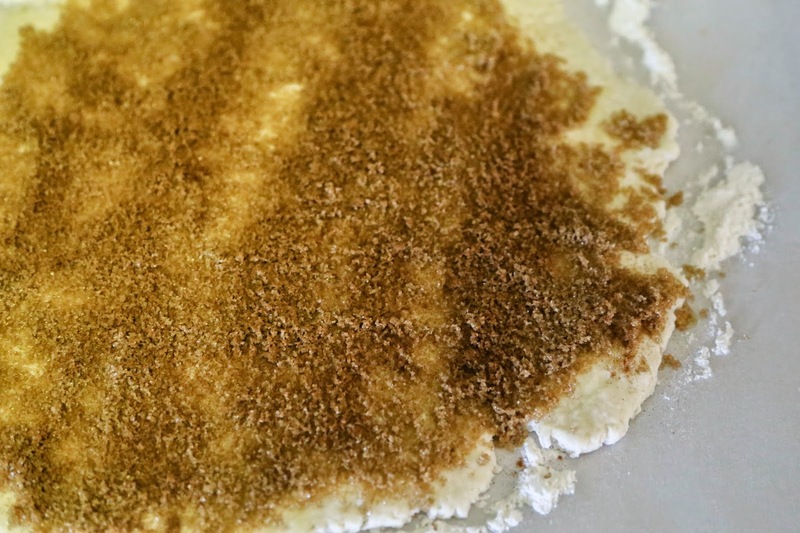 Cover with melted butter and sprinkle with brown sugar into an even layer. Dust with cinnamon to your likening, add a pinch or two of clove and nutmeg if you're feeling adventurous. Roll it up (your roll should be about 9 inches long) and slice into about 6 rolls/biscuits (about 1.5 inches wide). Bake on parchment lined baking sheet at 325* for 12 minutes or until golden brown. While the rolls/biscuits are baking, make a drizzle using 2 tablespoons of powder sugar, a touch (half a lid) of vanilla, and a splash of milk. 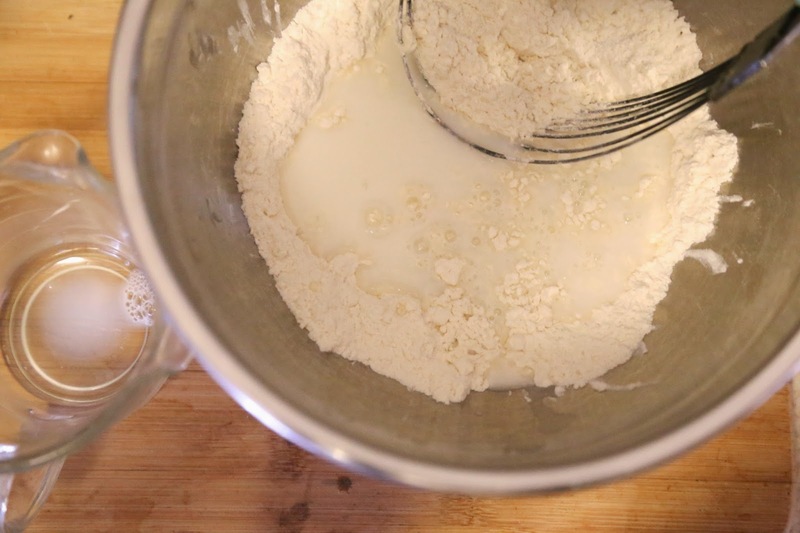 If it's too drizzly, add some more sugar, too thick, add a little more milk. Drizzle the rolls/biscuits right before you serve and enjoy!